The tenor saxophonist and composer María Grand puts a lot on the table in Magdalena, her sleek and intoxicating full-length debut. Due out this Friday on the Biophilia label, it’s inspired by the work of the groundbreaking family therapist Virginia Satir, and by the extension of relationship dynamics to the larger world. For Grand — half Argentine, half Swiss, and a New Yorker since 2011 — these are concepts with direct musical application. They’re also open to admixture with literature and religious myth. “TIII: Magdalena,” for instance, is the third movement of a suite at the heart of the album, its title referring to Mary Magdalene. Grand’s tenor strikes a tone of searching melancholy throughout the tune, against Rashaan Carter’s droning bass and Jeremy Dutton’s dark rustle of cymbals and toms. Elsewhere on Magdalena she can be rhythmically spring-loaded, quick with her phrasing and attack. But here she conveys a deep interiority, and a quieter sort of confidence. The eminent postbop pianist Kenny Barron just released his first album on Blue Note, a crisp and invigorating outing called Concentric Circles. Featuring a track list predominated by Barron compositions, it’s an excellent showcase for a quintet with Mike Rodriguez on trumpet and Dayna Stephens on saxophones, as well as the longtime rhythm team of Kiyoshi Kitagawa on bass and Johnathan Blake on drums. “Von Hangman” is one of those originals, with a sly title that nods to Lester Young and a prickly melody that recalls Thelonious Monk. Stephens and Rodriguez deliver smart, assertive solos before the bandleader takes over. And Barron, who will turn 75 next month, leaves no doubt about his intention to take any prisoners. 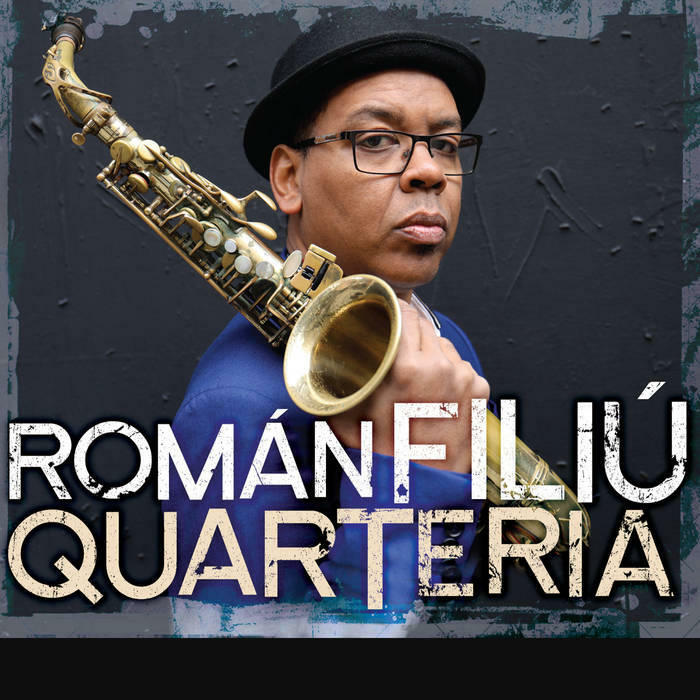 Román Filiú is the sort of musician always humming with ideas. An alto saxophonist known for his ongoing affiliations with Henry Threadgill and David Virelles, he has also done intrepid work as a leader. On his bracing new album, Quarteria, out on Sunnyside this Friday, he evokes the wild convergence of sounds he used to hear in the public housing units of Santiago de Cuba, which locals know as cuartería. Filiú composed this suite after receiving a commission from The Jazz Gallery. Quarteria features A-list talent from the New York scene, including Virelles, trumpeter Ralph Alessi and bassist Matt Brewer. (Dayna Stephens, heard above in the Kenny Barron pick, is the tenor saxophonist. María Grand sits in on two tracks.) “Fulcanelli,” the album’s opening track, is a deft musical puzzle whose title refers to a French occultist of the 1920s; Filiú is especially drawn to his architectural magnum opus, Le Mystère des Cathédrales (“The Mystery of the Cathedrals”). If that sounds too esoteric and cerebral to yield an enjoyable experience, give the track a spin — and listen close to the collaborative solo handoff from Virelles to Filiú, not long after the 4:30 mark. Uncharted Territories is almost too perfect a title for the new double album from bassist Dave Holland, saxophonist Evan Parker, pianist Craig Taborn and percussionist Ches Smith. Due out this Friday on Holland’s Dare2 label, it’s a document of dauntless exploration and deep intuition. Parker and Holland have a kinship that goes all the way back to 1960s London, in and out of the Spontaneous Music Ensemble. This album captures them both in superior form, with two of the most insightful and texture-mad improvisers from the younger guard. “Q&A,” a Holland composition, captures the spirit of this accord, with a testing-the-waters beginning that quickly finds full bloom. A few years back, Ben Wendel won the jazz internet with his year-long incremental video project The Seasons. He’s back at it, so to speak, with a series called “Standards with Friends.” Less high-concept but equally high-wire, it seems to be exactly what it sounds like, judging by the first video posted, last week. This is “Cherokee,” obviously, a test of mettle for jazz soloists since its invention 80 years ago. The friend in question is Walter Smith III, another tenor player who sets an imposing bar for harmonic fluency. And what’s most striking about their treatment of the tune is the extent of their communion as improvisers. This isn’t a cutting session in any sense; it’s more like a study in instantaneous counterpoint, and a shining exemplar of deep listening. Also, too, a good curtain-raiser for Wendel’s new series, further details of which are yet unknown.